(Washington County) Commissioner Anderson and Commissioner Chandler, I’m writing this letter to ask you why you feel following reasonable ordinances is too much for oil companies? Are they not a multibillion-dollar industry? Yes, I agree we need more job opportunities in Washington County. However, I also believe if the oil company causes damage to land, water, animals, and people, it needs to be responsible to take care of whatever damages it causes. If it decides to drill on your property and it stirs up methane gas, are you going to pay to fix that problem? Do you think your insurance company will gladly pay? I don’t think so. I recently read an MSN article regarding fracking and how banks and lending agencies are revisiting their lending policies to account for potential impacts of drilling. Also, home insurance policies do not cover residential properties with gas leases or gas wells. You, like other politicians, were elected by voters to watch out for our best interests. Instead, it seems politicians only want the job for their own personal agendas. Please work for our community. The Monday, August 26, Climate Justice Forum radio program hosted by Wild Idaho Rising Tide (WIRT) welcomes two regional activists who participated in the indigenous-led Moccasins on the Ground direct action training camp near Whitehall, Montana, on August 23 to 25. We are honored to hear Brooklyn Baptiste tell the epic story of the four-night Nez Perce Tribe blockade on August 5 through 8 of an Alberta tar sands evaporator on Highway 12 in Idaho, as well as updates about a related federal court injunction hearing. Justin Ellenbecker of various social and environmental justice organizations in Spokane also describes Moccasins on the Ground and local coal/shale oil export resistance and media attention, the broadened Gateway Pacific coal terminal analysis, and upcoming scoping hearings about a proposed Longview coal port. Broadcast on progressive, volunteer, community station KRFP Radio Free Moscow every Monday between 7:30 and 9:30 pm PDT live at 92.5 FM and online, the show covers continent-wide dirty energy developments and climate activism news, thanks to the generous, anonymous listener who adopted program host Helen Yost as his KRFP DJ. * Other organizational goals, such as mobilizing our collective, establishing roles, delegating tasks, initiating a regional canvass, filling the WIRT Activist House, etc. Claiming that it was measuring and mapping the magnetic field of the earth and related subsurface geologic and hydrologic features, such as shallow faults that caused small 2001 Spokane earthquakes, the U.S. Geological Survey contracted EDCON-PRJ, a company involved in mining and oil and gas exploration around the world, to fly low-level aircraft over the Spokane/eastern Washington/northern Idaho area and other parts of Idaho for nearly a month this spring. Are corporate forces exploring fracking opportunities in our region? If you would like local answers to this question, as a WIRT member is seeking in the Grangeville area, search your county recorder’s office for oil and gas leases, filed as encumbrances against real property after they are signed and made available online by some counties, such as Payette County. Among various ways to search through these documents, the easiest method entails using the code for oil and gas leases that the county clerk or recorder assigns. If you do a “grantee” search, look for these companies that have operated recently in Idaho: Alta Mesa Idaho (or AM Idaho), Bridge Resources, Idaho Natural Resources, and Snake River Oil and Gas. Industry spin and citizen cooperation: Although Idaho state law prevents local governments from regulating the technical aspects of oil and gas drilling, it allows them to create ordinances that protect public health and safety and property rights. The 60-member Weiser River Resource Council, which advocates responsible drilling and fair landowner/neighbor treatment by industry, is pushing for strong, local ordinances that protect the environment, public infrastructure, and property rights and that mitigate potential negative effects, according to co-chair Amanda Buchanan. On Wednesday, July 24, between 7 and 8 am, Alma of Idaho Residents Against Gas Extraction (IRAGE) talked about fracking/drilling in Idaho on the Kevin Miller program on KIDO 580 AM, Boise, Idaho. She encouraged distant fractivists and IRAGE friends to call in to the toll-free phone number on Kevin’s website, and she later described her host as a perfect gentlemen. The Payette County Board of County Commissioners (BOCC) held their public hearing on the proposed county oil and gas ordinance at 11:00 am on Monday, July 29, at the Payette County Courthouse. Fellow fractivist Alma Hasse mobilized community involvement, attended, and offered information for this report. The commissioners had demolished most of the ordinance that the planning and zoning commission (P&Z) had worked on for six months. But they retained the nationally rare requirements for baseline water testing before drilling, although of only two down-gradient domestic wells (or of two up-gradient wells, if two below cannot be located). As shippers’ preferred Highway 12 route is fought in court, underpasses trim trips north. As yet another legal battle mounts against permitting oversized loads to be transported along the Wild and Scenic River Corridor on U.S. Highway 12, concerns vary as to whether U.S. Highway 95 could again be tapped as the next viable shipping option. 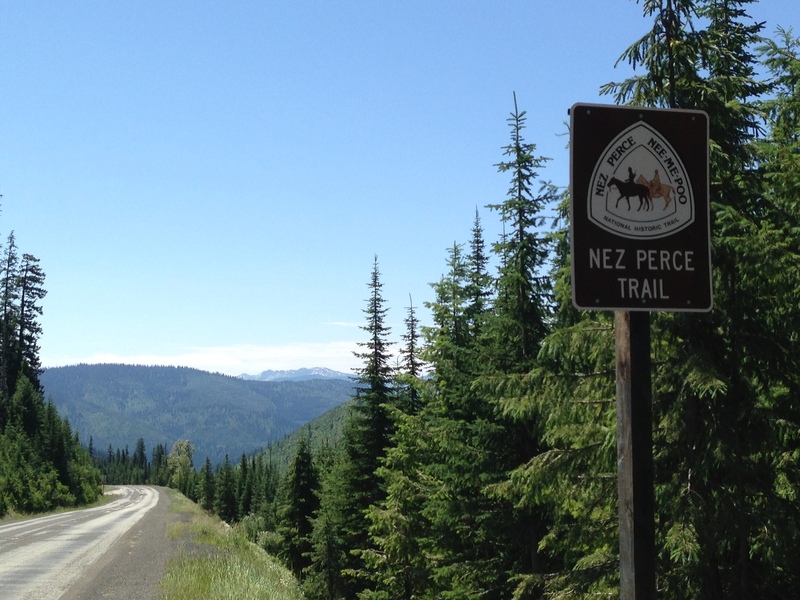 U.S. District Judge Lynn Winmill will preside over a court hearing on August 27 to decide if an emergency injunction should be issued, requiring the U.S. Forest Service to enforce its standards for megaload shipments through the Nez Perce-Clearwater National Forest. The lawsuit was filed by the Nez Perce Tribe and Idaho Rivers United following several days of protests of an Omega Morgan evaporator shipment bound for the tar sands in Alberta, Canada. 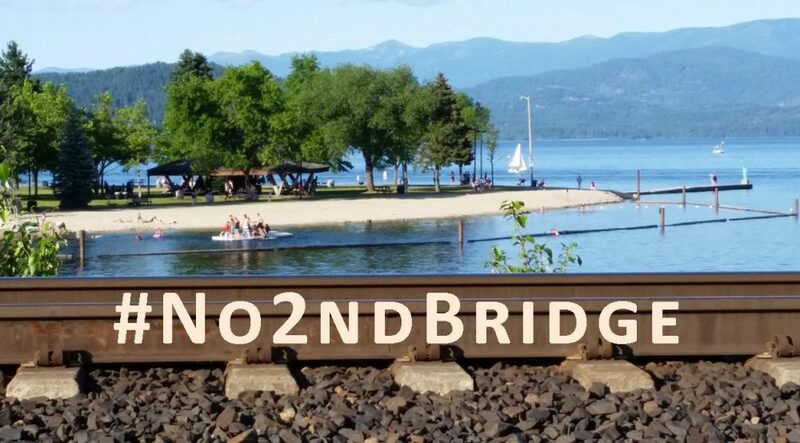 If the Forest Service is ordered to enforce its jurisdiction over megaloads that it perceives as hazardous to the national forest and river corridor, such shipments may be halted or forced to go elsewhere. The Monday, August 19, Climate Justice Forum radio program hosted by Wild Idaho Rising Tide (WIRT) welcomes three female indigenous activists of the Lakota and Nez Perce tribes. Meredith Moffett discusses the August 5 to 8 Nez Perce blockades of tar sands equipment on Highway 12 in Idaho, and Elrae Potts describes the August 12 protest of the same module and convoy in Missoula as well as the upcoming Moccasins on the Ground (MOG) direct action training camp near Butte on August 23 through 25. WIRT is also honored to feature a recorded interview with Debra White Plume, who led a Lakota megaload blockade in March 2012 and coordinates MOG camps and Keystone XL pipeline resistance in South Dakota. Broadcast on progressive, volunteer, community station KRFP Radio Free Moscow every Monday between 7:30 and 9:30 pm PDT live at 92.5 FM and online, the show covers continent-wide dirty energy developments and climate activism news, thanks to the generous, anonymous listener who adopted program host Helen Yost as his KRFP DJ. Over the last few weeks since the last Wild Idaho Rising Tide (WIRT) newsletter and amidst several action alerts, WIRT activists have protested oil and gas drilling and fracking in southern Idaho, trained to teach direct action tactics in preparation for nationwide Keystone XL pipeline protests, and joined blockades and roadside uprisings led by the valiant Nez Perce people against Highway 12 tar sands megaloads. In the wake of all of this activity and the extended travels since August 1 of the WIRT email/facebook/website/radio show coordinator, we are composing and sending three WIRT newsletters by the end of this week: this issue about regional fossil fuel resistance, an upcoming edition about Idaho oil and gas issues and protests, and a description/media compilation about last week’s Highway 12 megaload events. We apologize for our temporarily reduced (and corporate/competitor-scuttled?) capacity for public and media communication and outreach during such a significant time in our anti-tar sands/megaload campaign, while we applaud our many stalwart core WIRT activists who participated in historic resistance and successfully shared observations, videos, photos, and news about our collective regional work.